A Westminster stunt has highlighted the growing cash deserts in rural Scotland, where people cannot access their money for free. Scottish Labour MP Ged Killen stuck notices on the free-to-use cash machines in Parliament, informing MPs their constituents will have to pay as much as £2 per withdrawal in many UK towns and villages. Streets where the only cash machines are those that charge include a £1.50 withdrawal fee on Hareness Road and £1.65 on Abbotswell Crescent in Aberdeen, and a £1.85 charge on Kingsmills Road and £1.50 on Haugh Road in Inverness. Mr Killen said the problem is worsening, with research from consumer group Which? showing about 300 cash machines closed every month between November 2017 and April 2018, with rural areas and Scotland the worst affected. “The findings by Which? are deeply concerning,” he said. “I accept we are moving towards a cashless society, but the rate and spread of these closures could see those who rely on cash be left behind. Funding cuts for free cash machines will start tomorrow, the first of four rounds of cuts that will end up with a loss of 20% of the current funding supporting free cash machines by 2023. The automated teller machine (ATM) Industry Association has warned the 20% cut will see up to 30,000 cash machines shut, which is 40% of the UK network and far higher than the 8-18% predicted by Link, the organisation running the network. Across rural and urban Scottish communities, 146 machines have closed in the last five months, a rate of 29 a month. 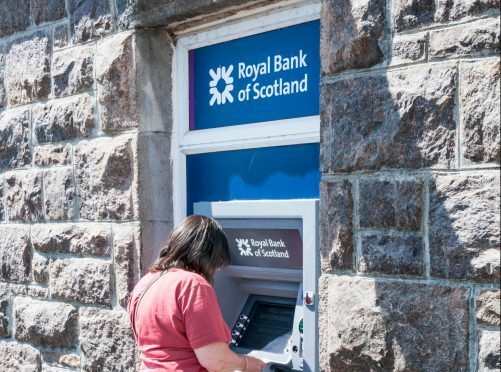 The current closure rate would see 28% of rural Scottish ATMs close over the next four years– but the rate is expected to increase even faster as the funding cuts bite. Mr Killen, who introduced a bill to ban ATM charges and protect access to cash last month, said Link had failed to keep its promise to protect communities from becoming cash deserts and called on the regulator to step in. He said: “Instead rural communities have borne the brunt of reductions to free-to-use ATMs and there are multiple cases of ATMs closing with the next nearest being significantly more than 1 km away. A Link spokesman said there was “over provision” of cash machines in city centres, which Link wants to reduce while increasing numbers in rural areas. “Cash is forecast to drop from 34% of payments in 2017 to 16% in 2027,” he said. “Link’s announcement looks to address protecting the coverage of machines in a declining market. The spokesman also queried the Which? research and claimed the number of free-to-use cash machines had increased in the last five years, despite the overall numbers falling.